VANCOUVER, January 23, 2019 /CNW/ – The Veterans Transition Program (VTP) has been helping Veterans in British Columbia cope with operational stress disorders for 20 years. Thanks to support from the Government of Canada, the VTP is expanding their programming to help more Veterans get the help they need. 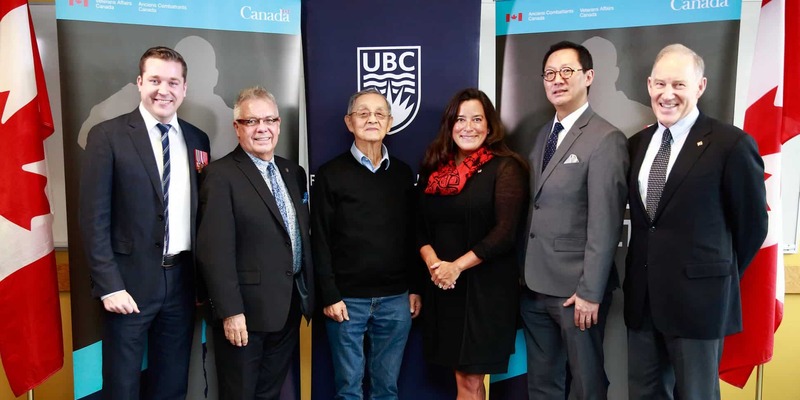 Veterans Affairs Canada has teamed up with the University of British Columbia’s (UBC) Centre for Group Counselling and Trauma (CGCT) in an effort to expand their reach and train more clinicians — providing $250,000 over four years for the Veteran Transition Training Centre (VTTC). The VTP was created 20 years ago by Dr. Marv Westwood, who works out of the CGCT at UBC’s Faculty of Education. The program has since treated 1,000 Veterans and has a 90% success rate in terms of helping participants become successful and productive members of their civilian communities. Visit the Veteran and Family Well-Being Fund webpage for more information on the fund.